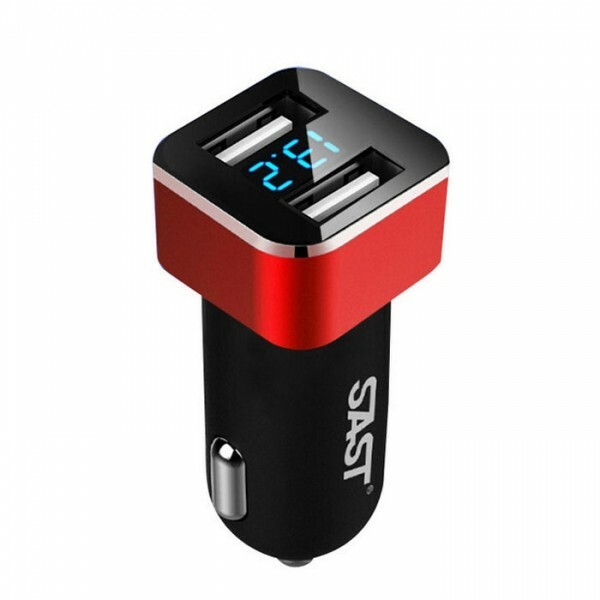 Equip your car with this SAST T17 Universal 3.1A Dual USB Car Charger Auto Voltage Monitor & Cigarette and you will gain much convenience from now on! This item looks so elegant and cute, with its exquisite design and durable materials. 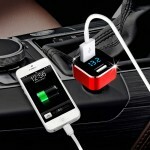 It features dual USB ports for charging two devices at the same time. This car charger is a multifunctional one, acting as a voltage monitor. It is so compact sized that is easy for daily carrying. Come and try! Intelligent current output in each stage of your phone battery volume. 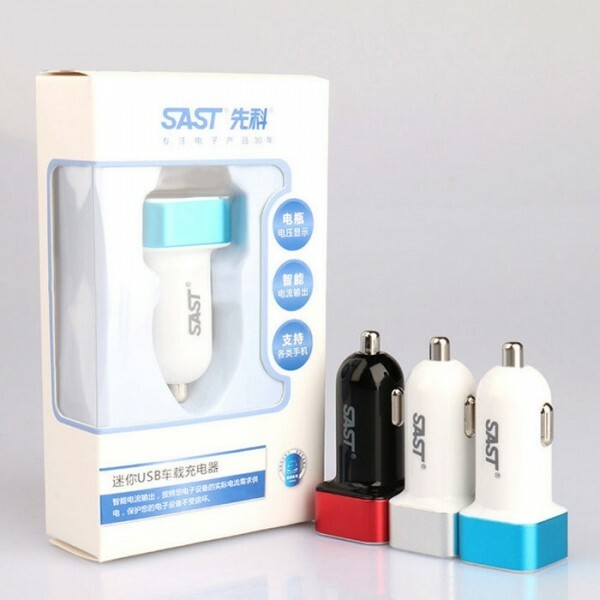 Super compatible for iPhone, iPad, iPod, Samsung, HTC, Nokia, Blackberry, LG, tablet PC, etc.